How to create more Twitter followers with Twitter Ads. | Let's Biz Up! You are here: Home / 2014 / February / 14 / How to create more Twitter followers with Twitter Ads. How to create more Twitter followers with Twitter Ads. So you are a Fan of Twitter and you’re looking for ways to increase your viralability in order to get more followers and more leads. In today’s post I will show you some strategies which you can follow to achieve your viral goal. But if by accident you’re still not on Twitter, please let this be your wake-up call! Because if you are involved in an online business, Twitter is a powerful medium to spread your message. With 635 million active users and still growing every day, around 9000 tweets are posted every second! You see, whether you like the 140 character universe or not, YOUR potential customers are on it and using it and YOU should be there too to catch this customer. How the get massive Twitter Followers? Use other social media to grow your Twitter presence. If you have a strong Facebook page with a lot of followers, direct them also to your Twitter account. Don’t just post links and other spam-like stuff. Post quotes, images, tips, etc. Share content; you want to create interaction. Next time you read a great book, watch a good training or buy a great course, find the author on Twitter and give them a round of applause, sometimes they might mention you and their followers might pick you up as someone to follow. Include the word “Retweet” or “RT” in your tweet… You be surprised how many people will retweet your tweet. And now it’s up to you how you want to proceed. I would suggest to choose the first option “New Promoted Account campaign”. This is to generally promote your Twitter profile. For first time users it will be more of a ‘Trial-and-Error’ procedure. See what the different possibilities are and learn while you’re doing. Last but not least, the payment. Also here you have some options. You can set a ‘total budget’; when you set this the ad will never exceed this amount. You have to choose a daily maximum; how much you want to spend per day. Enter a maximum amount you are willing to spend per follow. I would say around $0.80 – $1.00. And that’s about it! Don’t forget to SAVE your campaign and you’re set to go. Try to reach an audience which is not too big… Stay between 100.000 and 1.000.000 audience size. The higher the number, the less targeted your audience will be. Keep track of your results and adjust where necessary. Besides the Twitter Ads feature, there are a lot of other tools available to boost your Twitter Marketing. Just to name a few, I’ve listed some programs who can also help you build your audience. TweetAdder: TweetAdder is one of the more popular marketing software programs for Twitter. 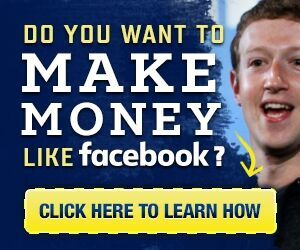 With names like Ellen DeGeneres, the creator of R2-D2, Bill Gates and Ashton Kutcher floating around, this program promises to deliver real, high-quality followers at a rate that is far faster than can be done manually. Boostlikes: This is a group that promises it can provide real followers that are also active, regularly update through tweets (as well as Facebook likes) and are engaged in the users that they follow. To back this promise, Boostlikes offers an unconditional lifetime warranty. TweetDeck: Find and reach out to millions of potential Twitter accounts to build your Twitter following, follow others in your niche and build relationships, and grow your Twitter account to a respectable size and following. Remember, having an established Twitter account is much more than just raw followers; you need to keep your followers engaged! Devumi: This is a program that does not require passwords or forces you to follow users as a means of getting new followers. There are also other means of payments outside of credit cards and does not cost too much to get started. FollowerSale: This is a program that encourages real users to engage in follow-for-follow with its customers and businesses, which results in an active community of real followers. For more extensive Twitter training, I want to recommend a free course/webinar a colleague of mine performed some time ago. >> You can access it here. I hope you liked this “How to create more Twitter followers with Twitter Ads” post and look forward to your input.